Charlie Lane is a Registered British Horse Society Intermediate Instructor and a British Eventing Accredited Trainer. He has a current Equine Specific First Aid certificate. Charlie has a vast range of experience with horses, having trained and ridden eventers up to and including Advanced level and has also raced successfully under National Hunt Rules, show jumped, played polo and hunted. 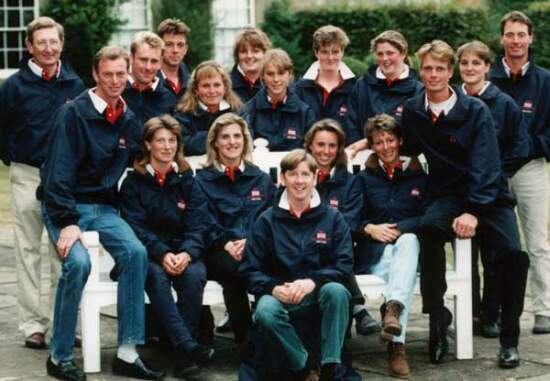 From 1992-1996 Charlie was Team Manager of the British Three Day Event Team (during which time the team were World and European Champions and 5th at the Atlanta Olympics). He teaches riders of all ages including established competitive event riders as well as those who aspire to ride in eventing, show jumping and dressage competitions. He has taught at Pony Clubs in both Britain and Ireland, and with two children of his own riding in the Pony Club system he has an excellent understanding of the importance of the Pony Club in producing confident and enthusiastic young riders. Charlie's aims when teaching are to use a combination of humour, encouragement and clear instruction to instil confidence between horse and rider. He is aware of the importance of using safe techniques while encouraging the rider to strive to reach a higher level of performance than they believed themselves capable of achieving.